Planned well, a family holiday with your teen kids would bond everyone immeasurably and create beautiful memories to last a lifetime — the parents would love such an experience right now, while their increasingly independent kids are on the cusp of flying the coop; the maturing children will no doubt eventually come to love it too, though they may not admit or appreciate it at the moment. The planning starts with deciding on a destination: Parents have to accept that they probably have divergent interests and desires than their teens as the children assert themselves and their personalities take shape. So the place should be multifaceted, with surprises around every corner for adults and teens. Sydney in New South Wales, Australia, fits the bill perfectly: It is a place familiar to many of us living in Singapore, not too far away, easy to get around in, and yet it would yield new and varied experiences even for repeat visitors. Many of the activities are adrenaline-pumping, Instagrammable, or just plain cool — exactly what the teens ordered. This annual fantastical festival of light, music and ideas has to be at the top of your itinerary. Held this year between May 25 and June 16 this year, it is a multihued spectacle that stretches the boundaries of your imagination, providing a treasure trove of Instagram posts for your teen kids to attract thousands of likes (what invaluable bragging rights!). Celebrating its 10th year, the festival — the largest of its kind in the world — will extend to Luna Park, where Coney Island will feature a large-scale projection on its facade. 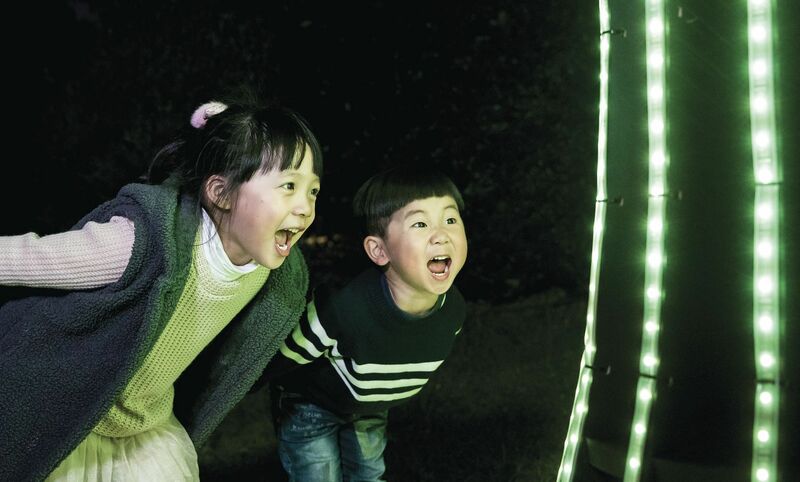 Returning festival favourites include the Royal Botanic Garden, where a nature-inspired nocturnal environment highlights the Australian Rainbow Lorikeet and a giant electric, metallic flower with mirrored petals; Sydney Opera House, which features the morphing digital sculptures of Metamathemagical; and Taronga Zoo, where new animal light sculptures await visitors. As anyone who has ever been a teen before knows, there are few things lamer than a family vacation comprising primarily of “educational interests”. Teens can smell a lecture coming on as well as they can sniff out a learning journey disguised as a holiday. To reassure your teen kids you have absolutely no intention whatsoever to sneak something even vaguely “educational” into their holiday, take them to Williamtown, Port Stephens, for a day of sandy good fun. 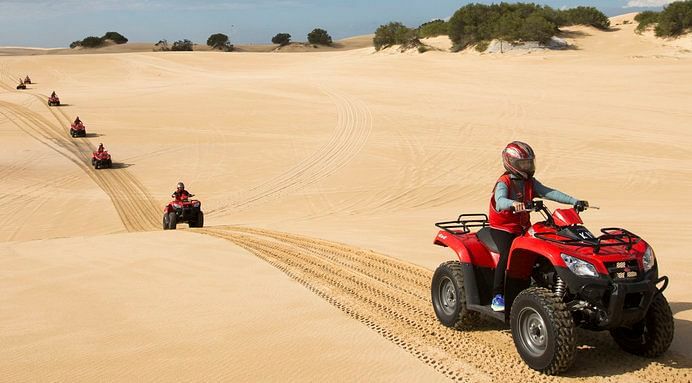 Have them rev up quad bikes to go from the bush to the beach over picturesque sand dunes. Novice quad bike riders are welcome — they will be taught how to ride a quad bike before touring the Stockton Beach sand dunes. Okay, so your kids may also learn about Aboriginal culture in the Worimi Conservation Lands and Aboriginal guides will teach them about traditional Aboriginal foods and how to find fresh water. But they will be having so much fun, they won’t realise it’s the best learning journey they’ve experienced. In addition to quad-biking, your family could go sandboarding here too. 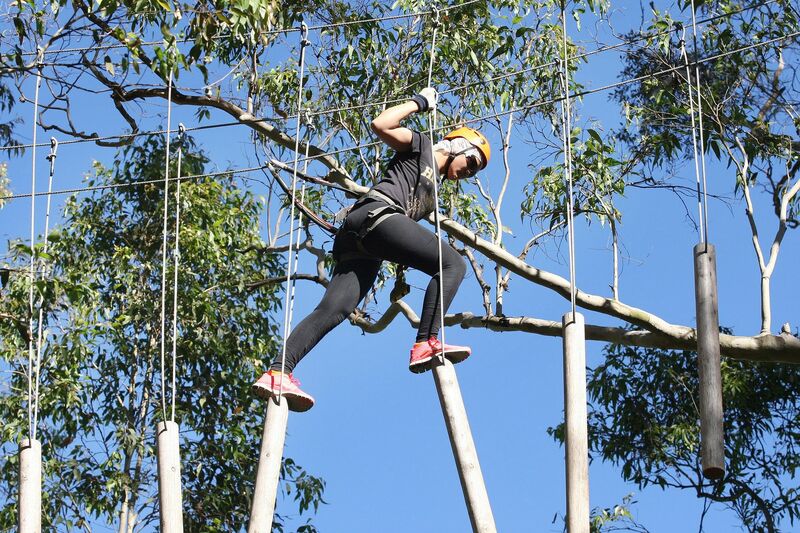 Because teens tend to spend too much time in front of computers and assorted digital devices, overcompensate for this with plenty of outdoors time when planning your family vacations — hit the Treetop Adventure Park in Central Coast, too. This is where holidaymakers can slide down flying foxes, move from tree to tree on suspension bridges and enjoy many other exciting activities up to 15m above the forest floor. There are more than 100 challenges including 20 flying foxes, the longest at 250m. With three other locations across New South Wales, this multi-award winning park is suitable for folks of all fitness levels, from gym rats to bookworms. More sunscreen is required for this next adventure for families with teens: the chance to go face-to-snout with bottlenose dolphins in the waters off Port Stephens, where travel operators say there is a 99 per cent chance of encountering the aquatic mammals. 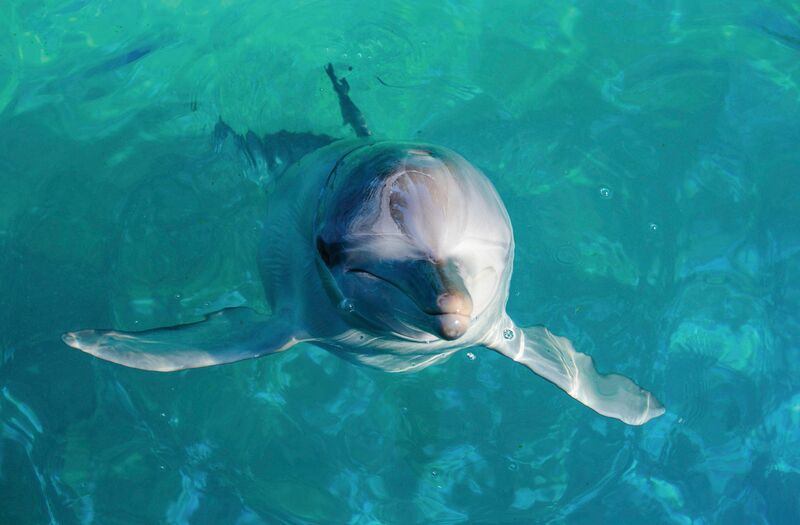 Not for nothing is Port Stephens called the dolphin capital of Australia and is home to a large number of bottlenose dolphins. Dolphin Swim Australia (dolphinswimaustralia.com.au) will take you into the waters with the mammals in a way that is perfectly safe for the creatures. For those who would rather keep a little distance from the dolphins, you could still get into the waters and stay apart from the dolphins. On Moonshadow – TQC 2hr Splash & Slide Dolphin Watch Cruise, participants could splash down the waterslide into the open waters, as well as ride in a huge boom net. This next stop is ostensibly for adults, but teens may be keen on it too. Yes, Hunter Valley is all about wine, and no, we are not encouraging you to permit underage drinking. But let’s be honest: Teens are keen to know more about alcohol and it is much better for them to learn about (though not drink) wine under the watchful eyes of adults. In addition to touring vineyards, the family could also learn more about wine and wine-making at the Hunter Valley Wine School (www.hunterresort.com.au). Apart from wine, there other things to do here: Pamper yourself at a day spa, visit farmers’ markets, dine at quality restaurants, rent a bicycle or hop on a motorcycle with Wild Ride Australia (www.wildride.com.au), and go camera-crazy on the photogenic offerings at Sabor In The Hunter dessert bar (www.saborpokolbin.com.au). Don’t forget to eat them after posting the pictures on social media. In May and June, visitors to Sydney will not want to miss the Hunter Valley Wine and Food Festival, which celebrates the region’s delicious wines and fresh produce, including fruit, cheese, olive oil, chocolate and beef. 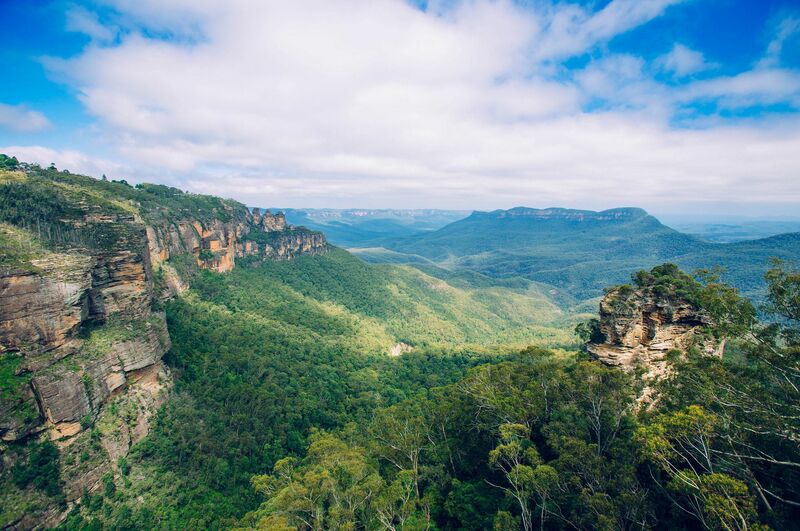 Awe-inspiring nature Here’s a geography lesson your teen kids won’t mind even on a vacation: The magnificent vastness of the Greater Blue Mountains Area, a UNESCO World Heritage Site, will sweep away all objections they might have to a learning journey. It’s about more than just unrivalled photo opportunities to flood one’s Instagram account with — in the midst of a glorious natural environment, teens, especially older ones, could go abseiling, canyoning, bushwalking, cave-exploring, kayaking, hiking, mountain-biking, as well as take walking tours with Aboriginal guides and travel on the world’s steepest incline passenger railway into ancient rainforest. CTC Travel (www.ctc.com.sg) has a 5D4N Sydney and Farmstay tour that takes you to the Blue Mountains and Featherdale Wildlife Park. It should give you a taste of the breathtaking mountainscape, and perhaps inspire another trip to Sydney to spend more time there. The package also includes a one-night farmstay and a visit to the famous Bondi Beach. 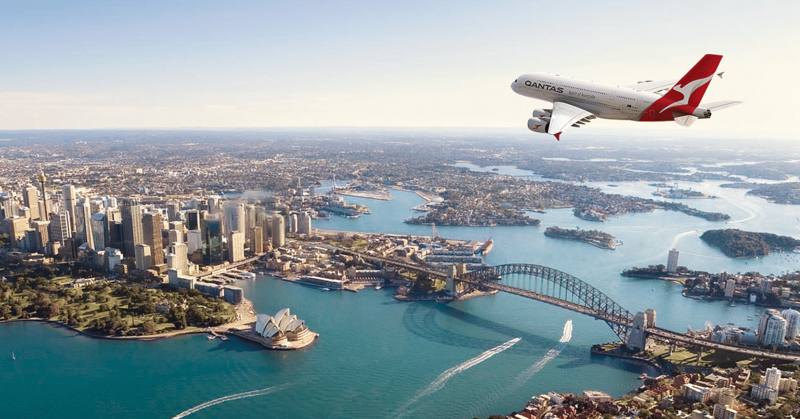 Flying to Sydney from Singapore? Consider doing it on the Qantas A380. Indulge in the supreme luxury of First Class with its exclusive lounge, private onboard First Suite, sumptuous eight-course tasting menu and award-winning Australian wines. Or, experience the World’s Best Premium Economy, as voted by Skytrax 2017, with its private upper-deck cabin, bigger seat, extra legroom, and complimentary comfort kits.